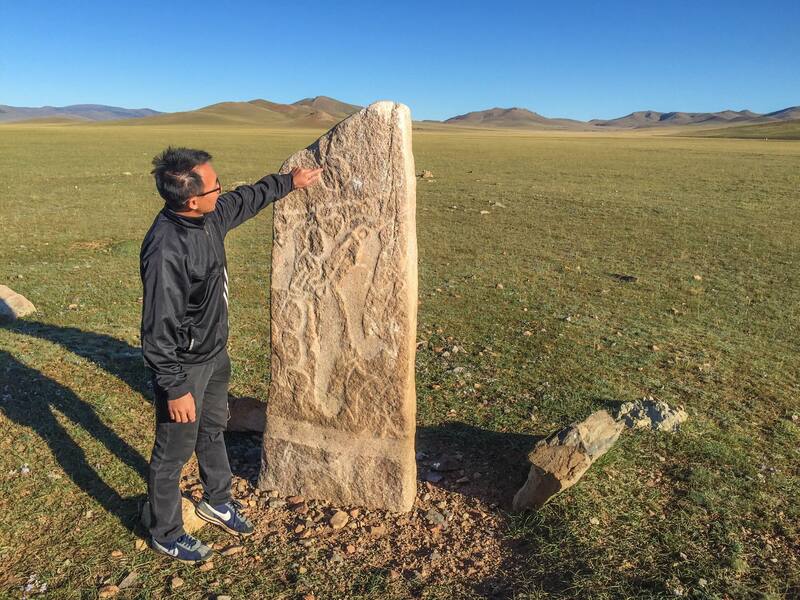 These are called deer stones and can be found in some remote parts of Mongolia, way off the main highways and populated areas. They are believed to be an astounding 3000 years old and it’s amazing that they have survived all these years in this harsh environment. The Bronze Age nomads believed that after their death deer would take their souls up to heaven and that’s what depicted in the carvings on these stones. 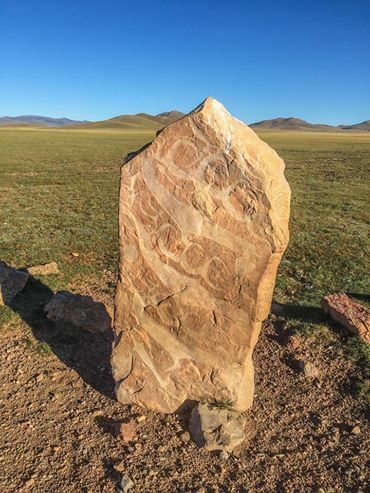 We came across these stones while riding our motorcycles through the interiors of Mongolia. There was nothing and nobody close by. I would think that something 3000 years old and as small as this would be cordoned off and guarded. But these stones just lay there in the middle of nowhere, instead of being cared for in a museum. 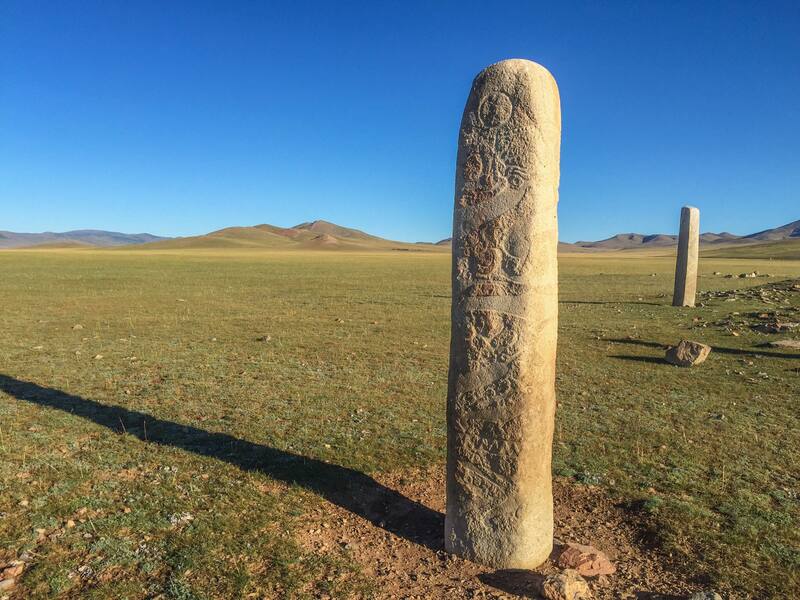 In fact, I remember seeing some ancient carved stones in the national museum in the capital city of Ulaanbaatar a few days earlier, but didn’t pay too much attention to them back then. In a way I’m glad these stones were where we found them and not in a museum. It make this part of the ride even more special. However we did use this interruption in our ride as a pee break. And no, we didn’t piss on the 3000 year old deer stones.